So says Jean-Paul Mellouët. He’s talking about his race, the Tro-Bro Lèon, a French Classic which he founded 32 years ago. Actually, scrap that – it’s the Breizh (Breton) Classic. At least that’s what Jean-Paul would say, for it’s a race that personifies the rugged coastal region situated on the western tip of l’Hexagone. The Bretons are out there on their own, and they seem to prefer it that way. For centuries, the sea has been a dominant part of life in the region, providing a livelihood for generations of sailors and fishermen, as well as featuring heavily in Breton mythology. Kêr-Is is one example. A city built in the far-western Douarnenez Bay for the King of Kerne’s daughter, Dahut, it became a city of sin under her influence. While her father slept, Dahut opened the city gates, allowing it to be swallowed by the sea. According to legend, she later became a morgen (siren), having been thrown into the sea as punishment. Stories are told too, about the shadowy figures of Kannerezed Noz, three washerwomen with green skin and webbed feet. Said to gather by the sea at midnight, they wash the clothes of those about to die. Unsurprisingly, they are seen as a bad omen and appear, in various guises, throughout Celtic mythology. Legends and myths aren’t the only commonality shared between Brittany and the other Celtic nations though, as strong traditions of fishing and farming endure. Other common/shared traits include an independent spirit, a seemingly incomprehensible (and under-threat) language, and a resolute people. 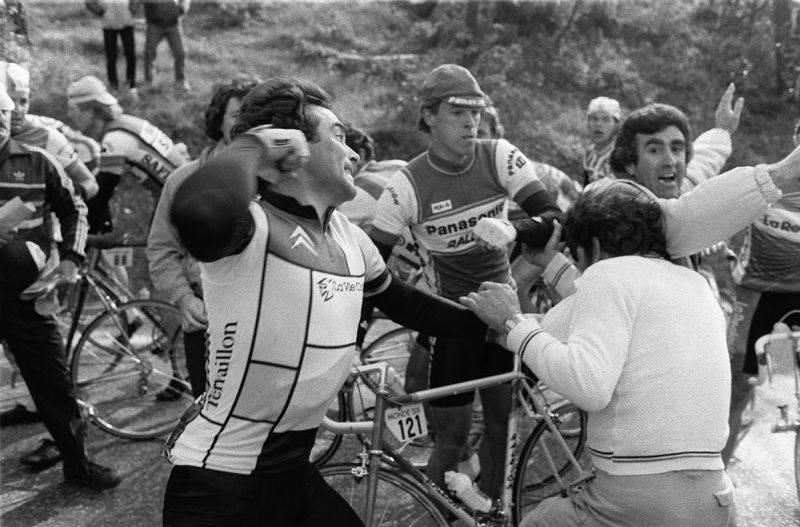 Five-time Tour de France winner Bernard Hinault is a man who neatly encapsulates the latter. Defiant, brisk and pugnacious both on and off the bike, he was a patron of the peloton as a 23-year-old. 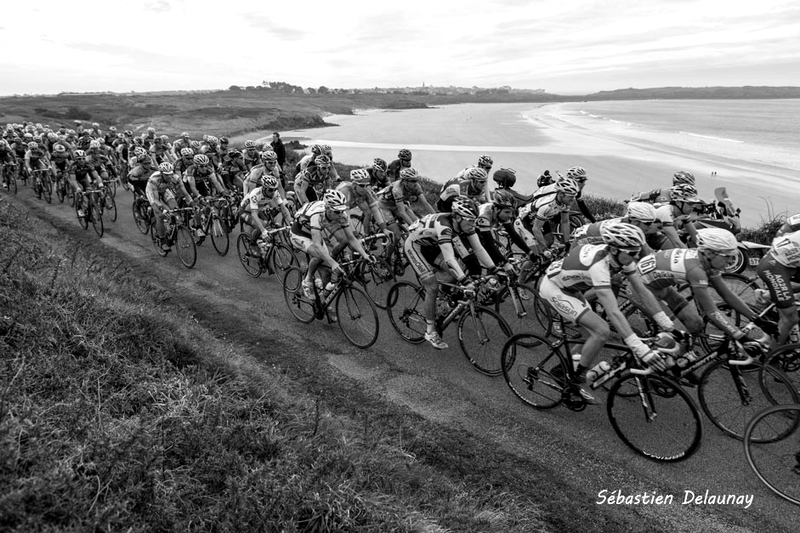 There are fewer big names in Brittany nowadays, at least not to the extent of Hinault. 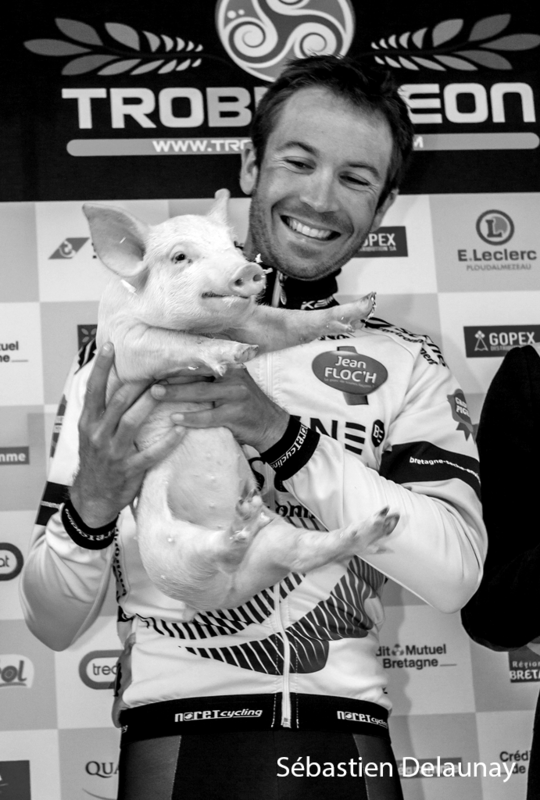 But each year the first Breton over the line in the Tro-Bro Lèon (Tour of Lèon, the north-west part of Brittany) is rewarded with a piglet. It may seem a novelty but the origin of the prize is serious, as Mellouët explains. “The idea came from the young farmers of the area,” he says. “It was to promote their breeding business.” Another Breton sport, Gouren (folk wrestling), traditionally awards the winner a ram. Originally a track rider, Périchon transitioned to the road in 2008, turning professional five years ago with Roubaix-Dalkia. A good all-rounder, Périchon finished fourth at the Tour de Langkawi last season, and won the 2012 edition of Paris-Camembert. He has raced Tro-Bro Léon four times, with consistent results, improving from 64th to seventh in 2013, before missing out on podium places in the final sprint at the two most recent editions. As Périchon points out, the race doesn’t quite offer the same challenges as the cobbles found in Belgium and Northern France. The ribinoù are dirt farm tracks, more comparable to the roads found at Strade Bianche. Mellouët, a designer by trade who takes on a raft of responsibilites every year, including the design of the race poster, agrees. The race has evolved, and then some, since the first edition in 1984. Back then it had a budget of 8,000 Francs and the race route included only four ribinoù. Now those numbers have swelled – there were 22 ribinoù last year, while the budget hovers around the €250,000 mark. On the subject of money, the race has a special reason for existing. Rather than using his race to sell newspapers – the reason many of the biggest races around today were started – Mellouët had an altogether different, more patriotic, motivation. “The race was created in order to support the Diwan schools which my children went to.” A share of the money raised by the race’s cyclosportive, first run in 2008 and led last year by Stephen Roche, also goes to the schools. These schools, privately-funded and not recognised by the French government, provide an education in the Breton language, with the first opened in the 1970s. Mellouët, born in 1949, was brought up during an era where speaking Breton was actively discouraged by schoolteachers. So there was a noble cause behind the race’s creation. Only the first race didn’t quite go to plan. There was, of course, a second edition, with the arrows set out so well that the Highways Authority asked for them to be covered up. Up until 1999 it was run exclusively for amateurs, with Estonian Jan Kirsipuu a notable early winner. Sixteen editions have passed since professionals were first invited, and despite Mellouët’s insistence that he will find someone else to organise the race (he says it every year), there are ambitions for growth. Moving up to 1.HC status is a target, though only if the UCI reforms the calendar, says Mellouët – but that ambition is balanced by a desire to retain the local feel. 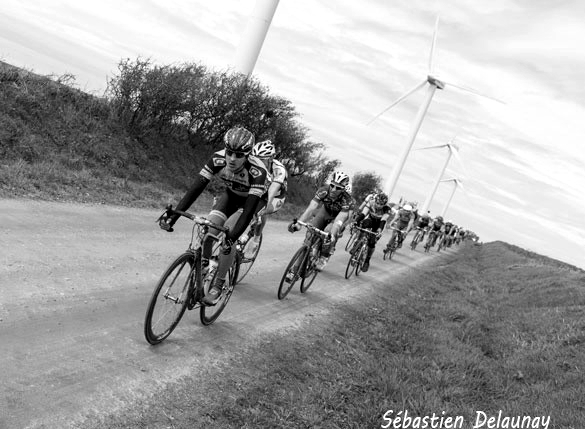 Le Bon hails from the town of Lannion – 100km east of the race’s HQ in Lannilis – and has yet to win Tro-Bro Léon, his best result second place to then-FDJ teammate Francis Mourey in 2013. Several ex-winners are down to start this time around though, including Mourey, Europcar’s Vincent Jérôme, and last year’s winner – Alexandre Geniez of FDJ. Whoever is the next conquerer of l’Enfer du Ouest, Mellouët will be there in his hometown of Lannilis, ready to greet them. There will be a new name for the history books, a new home for a piglet and soon after, a new edition to start organising. Follow Tro-Bro Lèon on Twitter here, organiser Jean-Paul Mellouët here, and Pierre-Luc Périchon here. Sunday’s race is only broadcast on France 3 and French Eurosport, so look to the usual alternatives. Previous Previous post: Who is Imanol Erviti?